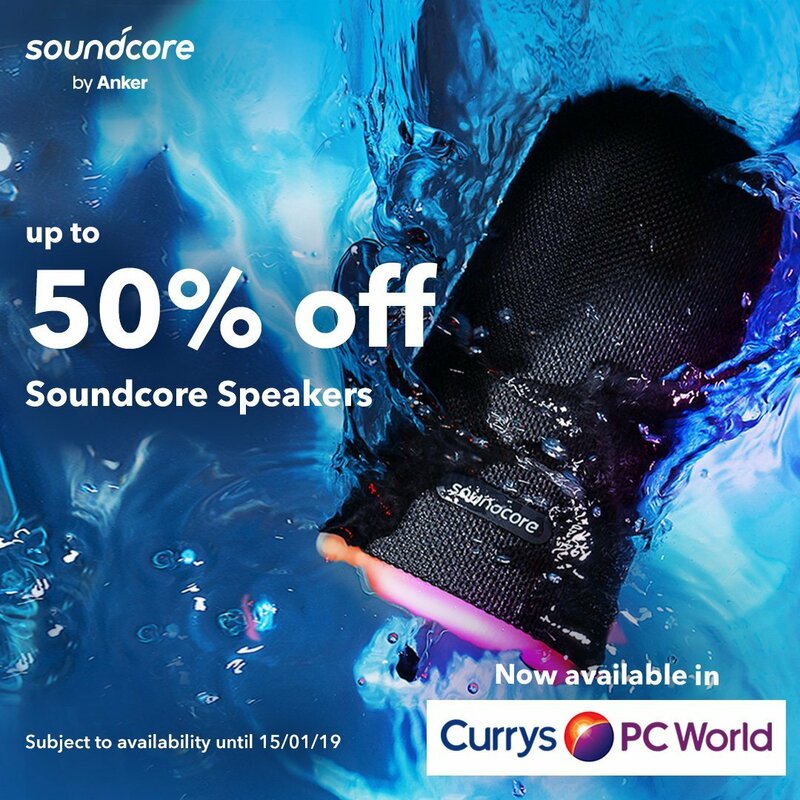 UK fans, @curryspcworld is having quite the sale on all of our @soundcoreaudio products! Head on over to http://bit.ly/2F6t8CT and get yourself or a loved one a post-holiday gift!! Thanks for posting @elmo41683. A Flare for £39.99 is an absolute steal! Shared on my facebook this morning. Agree £40 for a flare is a fab price. @elmo41683 they are one of the electronic giants in the U.K. and where I brought my DSLR from a while ago. It’s nice to see more flagship companies carrying Anker products over here. Indeed, I think that's a quite good investment. Those who have no, should really go for it. That's a fantastic price for both the Flare and the Mini 2 - I have both and they're great. The Mini2 will be coming on vacation with me this month! Question on the pairing of Flares if anyone knows? It’s worth noting that all the deals are online only and aren’t available in stores. eyyyy thanks mate for posting! Are they a registered 3rd party seller? Saw this on FB also.